This weekend was crazy beautiful in Chicago! It wasn't too hot, but it finally wasn't chilly either. 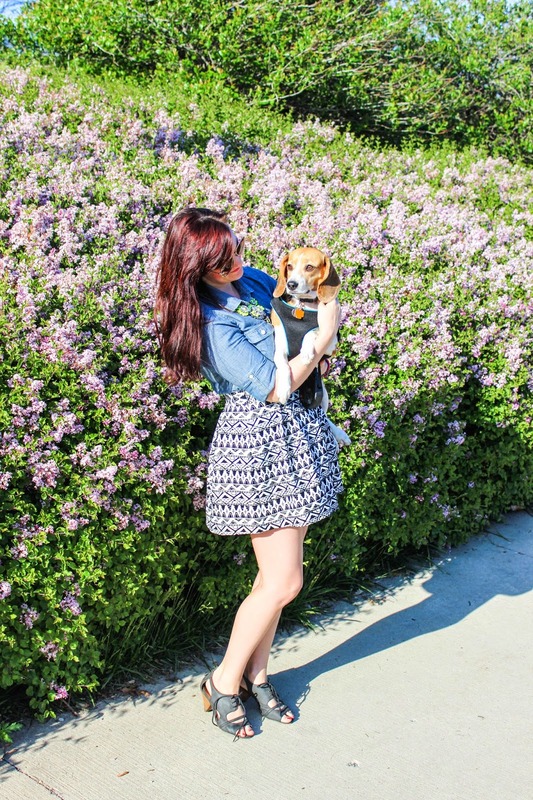 I was so excited that I took my sweet little beagle, Lilly, out for a very long walk. 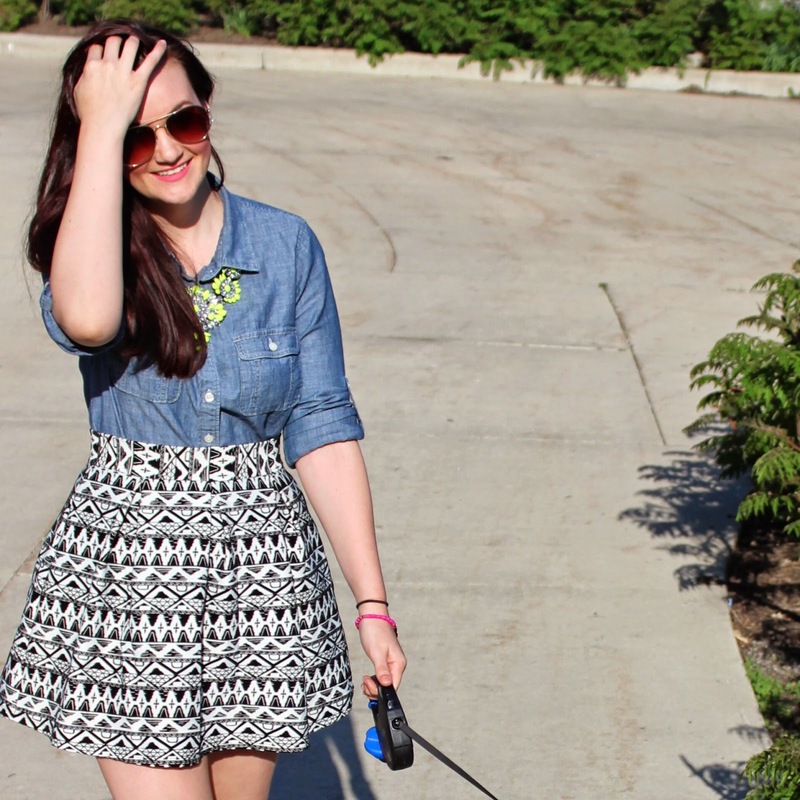 But who says you can't be stylish when you take your dog for a stroll? I'm so in love with this whole ensemble. I've been crushing on this neon necklace for a while and wanted to use it as a pop color for an outfit. 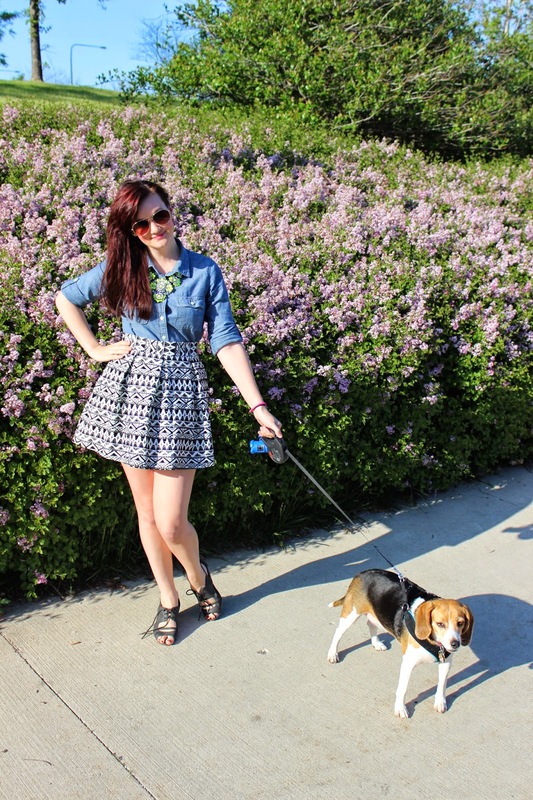 It's paired adorably with one of my all time favorite items in my closet: my relaxed chambray shirt. Not only does a chambray shirt pretty much go with everything, but it's super comfortable. I got mine from J.Crew. I've also really been into pattern mixing and bold patterns lately. 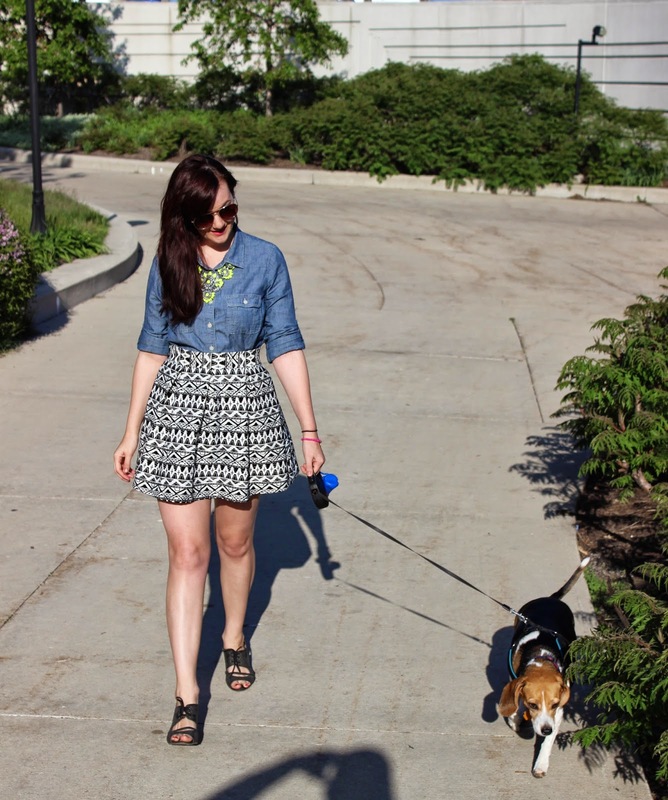 I think this black and white tribal print skater skirt is exactly what this outfit (and my daily beagle stroll) needed! Love this look! The mix of print and texture and pop of color is so great!